People can apply to the Foreign Birth Register if they have an Irish-born grandparent or their parent is an Irish citizen. THE NUMBER OF people successfully obtaining citizenship by descent more than doubled in 2017, with over 17,836 people entered on the Foreign Births Register (FBR) to date. Foreign Birth Registration (FBR) is the process whereby people with an Irish-born grandparent, or a parent who is an Irish citizen through FBR, adoption or naturalisation, can acquire Irish citizenship. The overall number of applications for citizenship through FBR rose above 22,000 this year, with increases across all regions. The biggest regional rise was seen in applications from people born in Great Britain, which grew by 95% on 2016. To date, some 13,004 applications from Great Britain have been received, compared to just 6,639 last year. There were also significant increases in the numbers of applicants from the United States (up 33%) and South Africa (up 30%). The number of persons applying for the FBR has more than tripled in four years. In 2016, just 8,212 new entries were added to the register, while the most the recent figures show that 17,836 people were added in 2017. 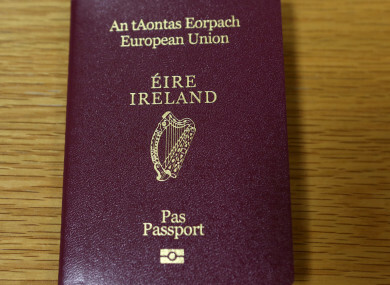 Official figures from the Passport Service also show that 20% of Irish passports issued in 2017 were for people in Northern Ireland and Great Britain. Some 81,752 applying for an Irish passport were from Northern Ireland, while a total of 81,287 applications were made from Great Britain, an increase of over 28% compared to 2016. Tánaiste and Minister for Foreign Affairs and Trade, Simon Coveney said the increase in passport applications from Northern Ireland and Great Britain is “undoubtedly partly linked to the ongoing process of the UK’s departure from the European Union, the increase is not solely due to Brexit”. He said other factors such as increased mobility and population growth are also relevant. “It is particularly notable that, of the over 80,000 applications from Great Britain this year, almost half were from persons born in Ireland and another approximately 37% were from Irish citizens born abroad to an Irish-born parent,” he said. In order to deal with the increase workload, the Department of Foreign Affairs and Trade has had to hire 240 temporary clerical officers to assist in the processing of passport applications. Additional full-time staff have also been assigned both to the Passport Service and to the Foreign Births Registration unit. Email “Number of people obtaining citizenship doubles because their grandparent or parent is Irish ”. Feedback on “Number of people obtaining citizenship doubles because their grandparent or parent is Irish ”.